Today is the 81st birthday of the children’s author Judy Blume. She changed every child’s life. She introduced and is still introducing children to a lifetime of reading, daydreaming, escaping, and learning. The world is a better place because Judy Blume is in it. BEST KNOWN FOR: Author Judy Bloom is a writer and illustrator of books for children and young adults, including Tales of a Fourth Grade Nothing, Blubber, and Tiger Eyes. She was 27 years old, with two preschool aged children, when she began writing seriously. For two years, she received constant rejections. Then in 1970, she had her big breakthrough, with the young adult novel Are You There God? It’s Me, Margaret. It’s the story of 11-year-old Margaret Simon, the daughter of Jewish father and Christian mother, and her adolescent attempts to make sense of things like religion, boys, and menstruation. The book was banned in many schools and libraries. It’s one of the most challenged books of the last third of the 20th century. But it’s also beloved by many, and it has been a big best-seller over the years. She lives mostly in Key West, where she writes at a desk facing a garden. In the summer, she writes in a small cabin on Martha’s Vineyard. She always writes in the morning. When she’s working on a first draft, which she says is the hardest part, she writes seven days a week, even if only for an hour or two day. Blume is also the author of Tales of a Fourth Grade Nothing (1972), Otherwise Known as Sheila the Great (1972), Blubber (1974), The Pain and the Great One (1974), Starring Sally J. Freedman as Herself (1977), Superfudge (1980), Here’s to You, Rachel Robinson (1993), and recently, Going, Going, Gone! with the Pain and the Great One (2008). Her books have sold more than 80 million copies. 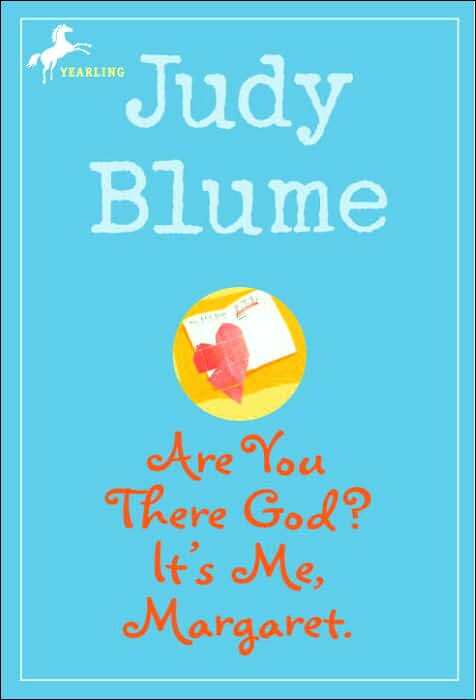 Though light in tone, many of Judy Blume’s books deal with difficult issues for children, including questioning the existence of God, friendship, religion, divorce, body image, and sexuality. However, Blume has stated that she does not set out to tackle these issues when writing. She begins with a character, or sometimes a character and a situation. Fans of Blume’s novels have praised her use of real-life settings, ambivalent endings and gentle humor. Her allegedly ambiguous treatment of moral issues made her at one time a regular target of school library censors and the Religious Right. Her books are still often challenged in school libraries. In fact, Forever was the second most challenged book of 2005, according to the American Library Association. When her books first came under attack, she went through a variety of emotions: scared, frightened, alone, and angry. In an interview with Publisher’s Weekly, Blume states that the fear of censorship can be contagious. In another interview, Blume tells Judy Freeman, children’s literature consultant and author, that the sadness came from a sadness for children who may not be allowed to read banned books. She said, “It says to them, ‘There’s something in this book we don’t want you to know about, something we don’t want to discuss with you. '” She is recognized as one of the most banned children’s authors in the United States which eventually led her to edit a collection of short stories about censorship (Places I Never Meant to Be). Despite ardent attempts at censorship, Blume’s young adult novels and books for children have sold 80 million copies worldwide. In her efforts to preserve for young readers intellectual freedom in literature, Blume joined the National Coalition Against Censorship, which comprises fifty not-for-profit organizations that come together to fight censorship. Judy Blume has also founded or is closely affiliated with several other organizations regarding children’s literature and censorship, including, The Kids Fund, The Authors Guild (she serves, in 2010, as the group’s vice president), the Society of Children’s Book Writers and Illustrators, and the Key West Literary Seminar. Blume is also the editor for a collection of short stories, Places I Never Meant To Be, Original Stories by Censored Writers. Blume also tells Freeman that censorship is not getting any better. There has been a rise in challenged books over the years. Blume urges teachers and writers who feel passionately about censorship to speak out and share their voice on the subject. Next Post: Polaroid Land Camera SX-70 – Not So Secret Obsession.